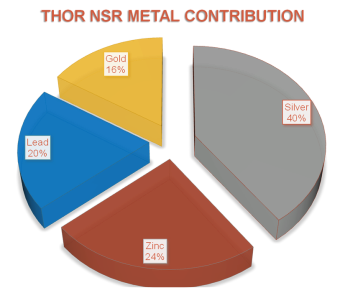 Thor is primarily a precious metal deposit, with 56% of its value being derived from the silver and gold content of the deposit. The remaining value (44%) comes from zinc and lead. 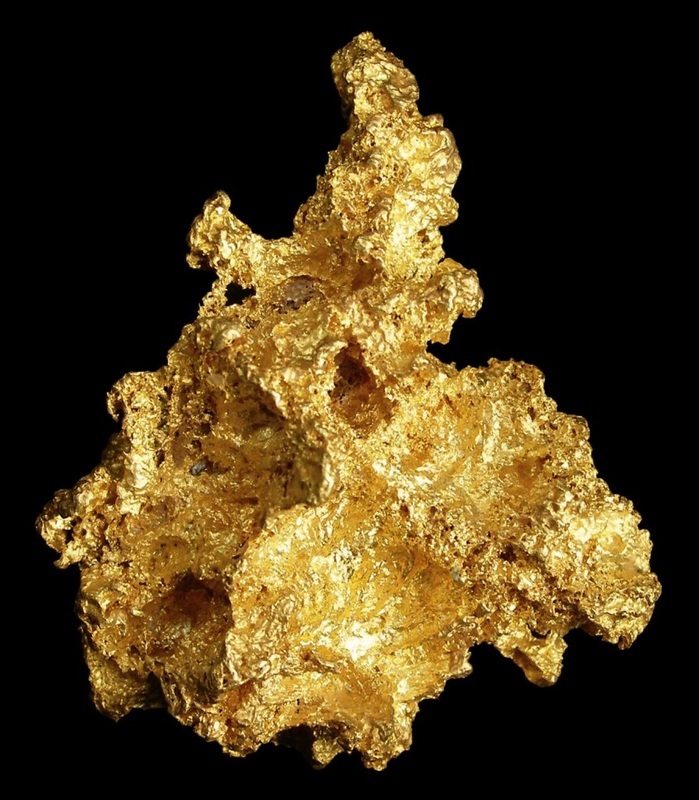 As such, it is referred to as a 'polymetallic' deposit because it would derive its revenue from the production of at least four metals. This makes the deposit more resilient to the 'ups and downs' of single commodity prices. The pie chart to the left is derived from a RPA cash flow study that takes into account the metallurgical recoveries for each of the metals. Since Thor is still undergoing exploration, the contributions of these metals will change as the deposit becomes much better understood - and in particular it is expected that the gold content content will increase substantially since there have been significant gold discoveries on the project since the 2007 / 2008 drilling programs. 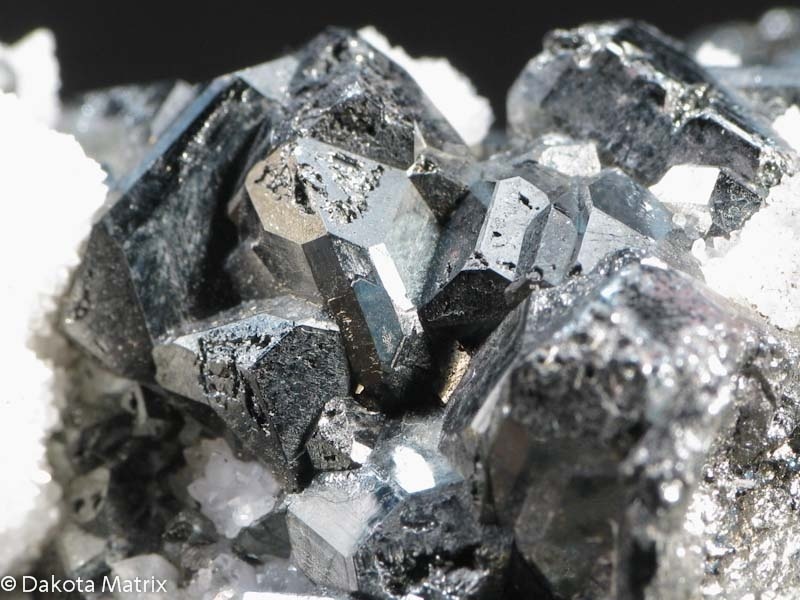 Most of the silver at Thor occurs in the mineral tetrahedrite, a copper-iron-antimony-sulfur rich mineral that can be very complex mineralogically. Gold occurs at Thor as both native gold, and as complex mixtures with other sulfide minerals in the deposit. 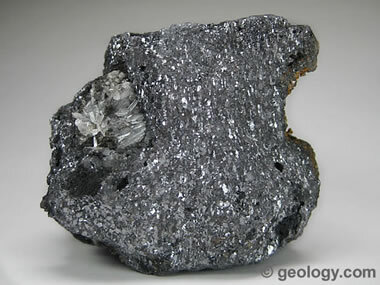 Lead and Zinc are the two most prolific minerals at Thor, and occur as galena and as sphalerite which are readily visible in the drill core samples as both disseminated and massive sulfide.